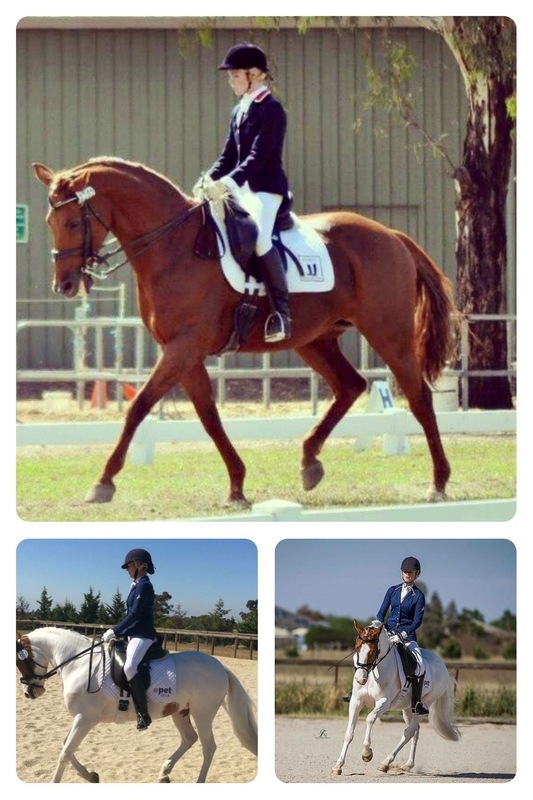 We are proud to sponsor this 18 year old young rider from Victoria, competing in EA Pony Dressage. She's currently working with Grand Prix rider Natasha Althoff as a breaker/trainer, as well as coaching at Ebony Park Performance Friesians. During the last two years she has achieved a number of her riding goals. She's ridden to medium level Dressage and trained to PSG. Her biggest achievement in 2015 was landing her position at Ebony Park, as well as forming a fantastic new partnership with her current mount 'Lacework Illusion JM'. So far, they've had one start in EA Pony Preliminary and came home with scores above 60%, and over 80% in the canter. Montana says she wouldn't have achieved these outcomes if it weren't for her mother who has been her soul coach, her current trainer Natasha Althoff as well as the support of her Nan and her partner. It's looking like 2016 is going to be her biggest year yet. She's working hard from home to score 70% at her next competition which is in mid-January. Her Riding Pony stallion 'Beckworth Magic Fortune' will be broken in the middle of next year, and she's hoping to have a couple of starts in Pony Dressage as 2016 draws to a close. Montana says that her most important goals are to continue to improve her riding and to enjoy the year ahead! Krystie (25) has been riding since the age of 9 when she bought her first horse Blazer, who was 6 at the time. Blazer is now 23 years old and lives happily with two of Krystie's other horses, Babe and Ernie. Currently, Krystie and her mother Helen have been working on their newest project; 6 year old "Foxwood Aztec Gold" aka Sam. 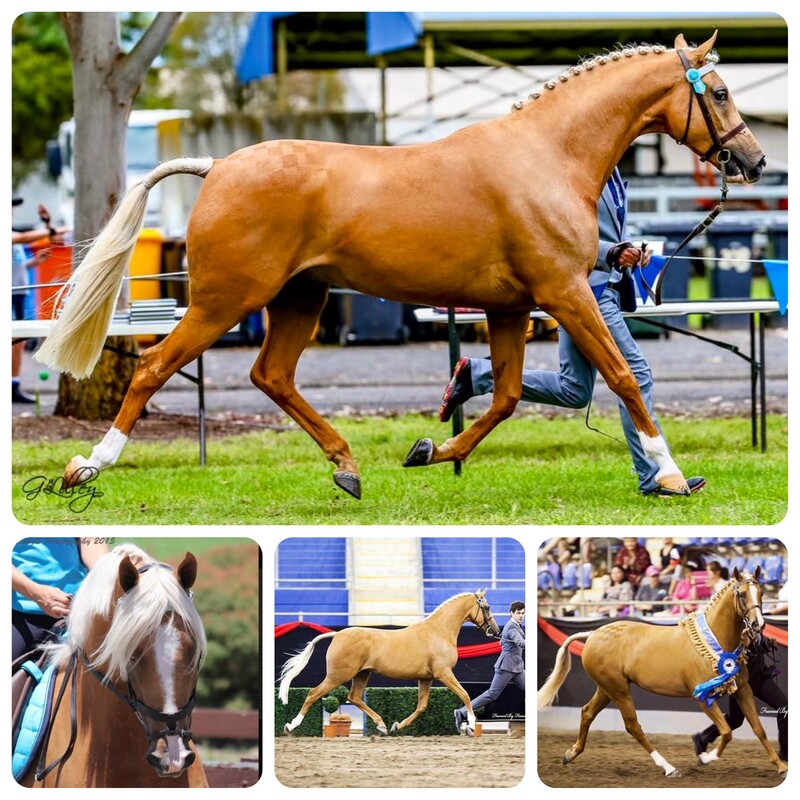 Sam is an Arabian Stock Horse and has recently taken out the Supreme Led Derivative at the 2015 Arabian Breeders Cup Alliance held at the Equestrian Lifestyle Festival and, in his first year under saddle, won the Ridden Challenge at the 2015 NSW Palomino Show at Hawkesbury. After such fabulous wins in 2015, we are really looking forward to seeing Krystie, Helen and Sam out competing in 2016 and wish them every success!